Cuddle up with your clan colors in 100% pure wool. Made of 100% fine woven (10 oz) wool, hemmed and fringed. 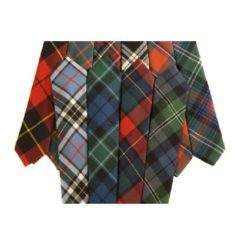 Available in over 400 clan or District tartans. Approx. 9.5″ x 58″. 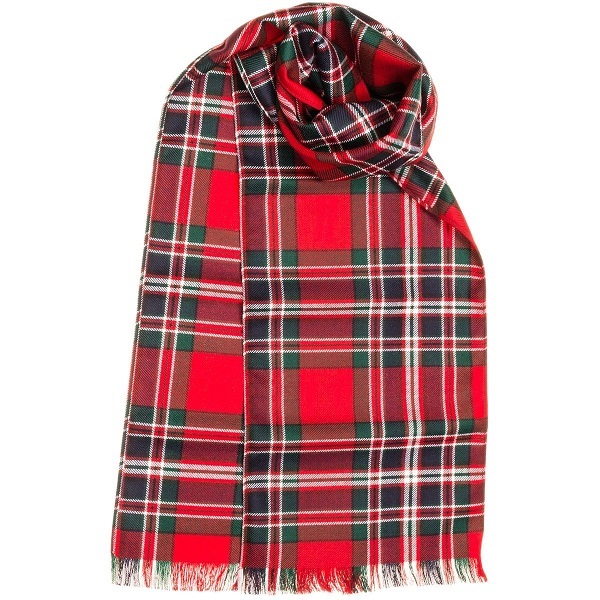 Scarves are made to order in Scotland. Please allow 3-4 weeks for delivery. 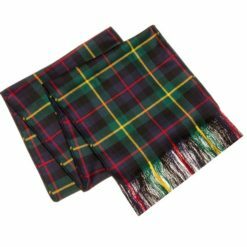 NOTE: The product photo is for illustration only and is not the color of the tartan name you select. Your scarf will be made in the colors/tartan you select from the list. To see a photo of the tartan colors available, return to the Clan Tartan Category for your clan.